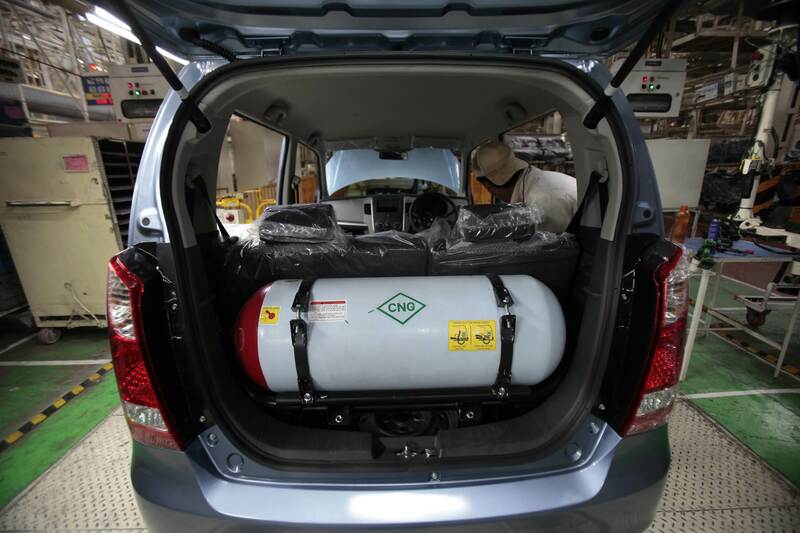 C V Raman, Senior Executive Director (Engineering), Maruti Suzuki India, spoke to Sumantra B Barooah on the sidelines of the new Wagon R launch on what went into creating the third-generation model, the company’s bullishness on CNG power, and the status of the 50 EVs being tested. The new Wagon R is a strong 20-year-old brand. What are the key pillars to take this brand and product success story forward? The Wagon R created the true tall boy segment in India with the first-generation model and then the second-generation concept made it stronger. What customers liked in them was the comfort and the space offered. After about two decades and 2.2 million happy customers, we felt that we should give it a makeover. Like the Swift, Dzire and the Ertiga, it's not just an evolution but it is quite different. In the Wagon R, the key thing is space and for the new customer, we wanted to give something even more, make it more comfortable, create more power. We wanted to make it bigger and stronger, inside as well as outside. So, the platform was changed from the K platform to the A platform, which is based on the fifth-generation Heartect architecture and that's the foundation. Which other product(s) shares this platform? The Ignis but there are little differences in the general architecture. What it helped us to do was make it wider by 40mm on the inside and increase the wheelbase by 135mm. Packaging helped improve front seat space by about 20mm; the rear seat is spacious in the current Wagon R but we further increased it by 10mm. Luggage room is up by 170 millimetres, helping double the luggage space. So, at 341 litres it is huge – the Wagon R’s USP is easy ingress and egress. Through the body design, we were able to make the Wagon R more car-like. It was felt it was a little flat but now with a little wraparound lamp, floating roof and the doors, the body section has become trapezoidal. Overall, it now looks more like a passenger car and it's become much bigger on the inside and also on the outside. As regards engines, customers seek something stronger. We have introduced the 1.2-litre K-engine along with the existing 1-litre K-engine. And with the platform changing from ITL (independent trailing link) to a torsion link, overall stability and right handling has been furthered. Also, a pendulum mounting has been incorporated in the engine further improving NVH, stability and rigidity. Inside, the Wagon R was always a very practical and comfortable car. Now we have a new infotainment system which, apart from Android Auto and Apple Car Play, also has the ‘AHA’ cloud-based system. This allows customers to download maps and use Google Maps on Android automatically; you can download music and regional content as well as stream it. You can pair at least three phones — one phone for call, one for music and all. It's a totally new infotainment system. One of the issues heard from many people with the Wagon R was the thick A-pillar. Yes, from an ergonomic perspective. Because it has become wider, the obscuration has been minimised. So from that perspective, the visibility is much better all around. Are you contemplating multiple engine options on this? We already have the 1-litre and 1.2-litre engines. Fuel efficiency has been improved – about 10 percent on the K-10 engine to 22.5kpl and the 1.2 litre has 21.5kpl. We are definitely looking at alternate fuel and CNG in the future. Could you also have a seven-seater version because there is one such model in Indonesia? 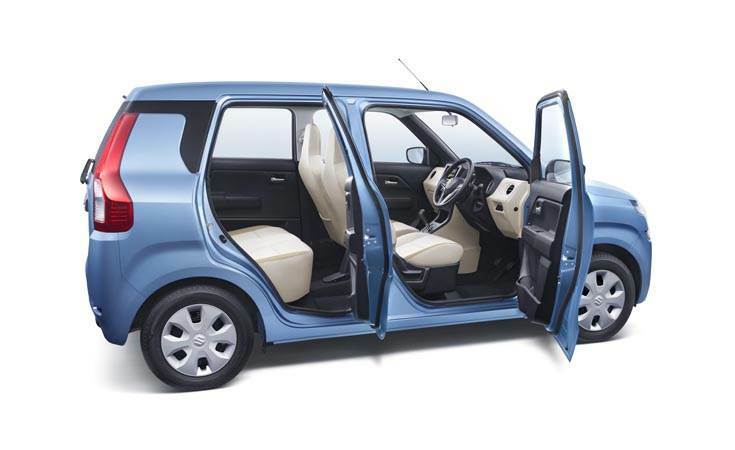 I think in the seven-seater, there is only the Ertiga. But everything is possible. But right now there is no such plan. What is your take on the CNG market? There seems to be a revival of sorts, there is a thought process of the government and some OEMs. On the CNG front, I think the government is improving the CNG availability infrastructure. The government has an aggressive plan to increase the number of CNG stations to 10,000 from the current 1,400 or so. And what is Maruti’s stand? We are the only manufacturer which has six brands where we are doing factory fit for CNG. We are taking care of all the safety aspects and all issues which are there in our retrofit. It's been doing very well and so therefore, we believe that this is going to further improve CNG penetration in India. At the moment, it is only in Mumbai and Delhi, and part of Gujarat. Once it kick-starts in other regions , the volume of CNG will surely go up. On the electric mobility front, I glimpsed upon two of your vehicles on Mumbai roads. What is the kind of feedback you're getting? It is too early to say. We made this to understand the Indian context as far as the EV race is concerned. We made 55 prototype vehicles in our Gurgaon plant. It will take some time. We have to test it in hot regions and similarly in cold regions too. We try to get data, understand the range, battery and charging conditions. Talking about CNG, I believe you're looking at some big numbers, about 150,000 units or so because the shift from diesel is happening. Is that right? The price of diesel BS VI vehicles is likely to go up substantially. So, obviously from a customer point of view, CNG becomes the lowest cost of operation fuel. The only reason for which adoption or penetration was not happening was the lack of fuel stations. Now that the government has put a thrust to have CNG available in many parts of India and increasing the number of CNG stations, we believe that this penetration should go up. So that alternative would be provided.